A Tarot card reading empowers you to listen deeply to your inner guidance by expressing your truth through images. 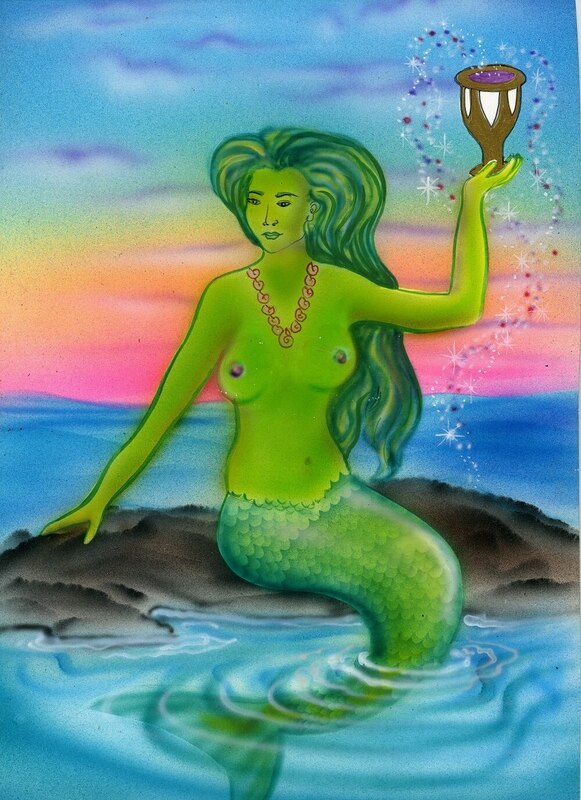 As an illustrated book of timeless wisdom the Tarot assists you to connects with your soul destiny. It helps you to unite, flow, and grow harmoniously through your spiritual journey by becoming aware of your total potential and possibilities. A tarot card reading guides you with clarity and awareness. It broadens your vision by showing you clearly where you are now and the possibilities of where you are going. I use my own deck of hand painted Tarot cards to bring you insights that assist you in making beneficial decisions. I help you in redirecting your focus with renewed inspiration. My interpretation of the Tarot leaves you feeling good, refreshed and clear. It reconfirms thoughts and ideas that you have, making you feel more secure about your transformations, decisions and questions. The TAROT is a tool of meditation that gives you access to your Higher Self. I have been interpreting the answers given by the Tarot since 1972. 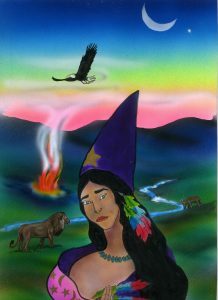 I have created my own deck of Tarot Card with the assistance of two wonderful artists: Lynda Muirhead and Ron Hernandez. A Tarot card reading helps you to clarify ideas, projects, and changes to inspire you during transformations and decisions. It reveals in multidimensional ways what you are experiencing and assists you in processing challenges so that you can recognize the growth taking place in your life. Experiencing a Tarot card reading with me will open you to the awareness of your possibilities. It will restore confidence in your potential, leaving you filled with enthusiasm. Consulting with me reassures and inspires you as we create a map that supports you in leaving behind your doubts and insecurities. The Tarot can be used daily to remind you to live according to your code of honor and integrity. Filled with timeless spiritual principles, the Tarot promotes living completely in the present moment. The Tarot, composed of seventy-eight cards, depicts multitude of situations reminding us and teaching us to live consciously. By using the philosophy of the Tarot we develop the ability to encounter life’s challenges with a sense of purpose. The Tarot is filled with messages of trust and faith. It reminds us of the expansion of consciousness that we gain from our life’s lessons. It portrays the wheel of constant changes. It connects us to to all beings with deep respect, appreciation and love. It is an illustrated book telling humanity stories with images that convey messages. I have 40+ Years of Experience in reading the Tarot Cards. Tarot card reading broadens your horizons and your visions of life. It is a unique experience that will leave you feeling better about yourself and confident about your future. It refreshes your perspectives. I work with my own hand-painted Tarot cards. My 40-plus years of experience of reading Tarot cards, combined with my highly intuitive skills make your consultation distinctive and powerful. I offer sessions in four languages: English, Spanish, French and Portuguese. Don’t wait any longer to experience this wonderful, unusual, and unconventional way to better your life. You can receive your reading by phone, Skype, e-mail or in person: 305-515-0018 Schedule your reading now!